Pierce McCan was from Dualla, County Tipperary. He was famous for being an Irish Volunteer. He was born in County Wexford on 2nd of August 1882 and lived in Ballyowen House in Dualla. He was a founding member of Sinn Féin. Pierce joined the Gaelic League in 1909. 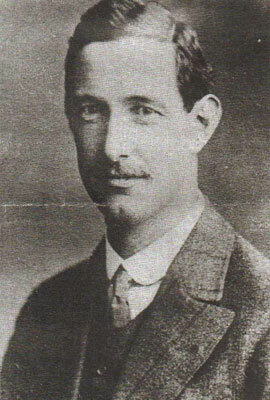 Pierce also joined the Irish Volunteers in 1914 and was the commanding officer in Tipperary. He was elected an M.P. for Sinn Féin representing Tipperary. His plan to break almost 2,000 prisoners of war out of Richmond Barracks, Templemore was thwarted as the prisoners were transferred after a year or so. He was arrested in 1918 as a result of his Republican activities. Local lore says that his dog caused him to be arrested by barking up the tree which he was hiding in. He died on the 6th March 1919, aged 37, of influenza in Gloucester Jail, and his remains are buried in the cemetery in Dualla. Cormac Gleeson, 6th Class, Dualla N.S.